DJ Khaled has released Grateful, the highly-anticipated tenth album from the Miami producer. Along with the album drop, Khaled shared a visual for the album's opener, "(Intro) I'm So Grateful" featuring Sizzla. In the Ivan Berrios-directed visual, Khaled and the reggae star find themselves in the middle of a lush jungle, giving thanks for everything they've been given. 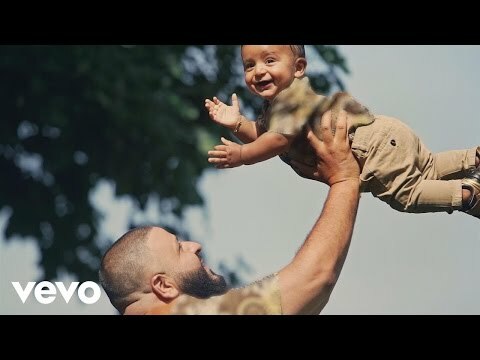 Of course, it wouldn't be a Khaled video if his son, Asahd, didn't make an appearance, and sure enough he does, looking as cute as ever. Watch the video for "(Intro) I'm So Grateful"